It looks like the CW is rounding out its 2017/2018 season by issing two renewals and two series pick-ups according to The Hollywood Reporter. Yesterday we reported that iZombie showrunner Rob Thomas was feeling pretty confident that he was getting a fourth season and it looks like his optimism was not in vain. They announced that the show is getting a fourth season after all though they did not mention how many episodes are being ordered though with its 0.7 rating and 1.6 million viewers average for season three it seems much more likely we’ll get another short thirteen episode season. The Originals, the spin-off from The Vampire Diaries, was very much up in the air has been granted a fifth season. The show has been averaging a 0.7 rating and 1.6 million viewer which isn’t bad for a CW show. If it was picked up for a full season it would push the show to the lovely syndication episode 100 but that doesn’t seem likely with those numbers. The show has a better chance of reaching 100 if spread out over two smaller seasons. Black Lightning is one of the more high profile pick-ups for the CW. It’s another DC Comics show but it’s the first one to feature a person of color as the lead. 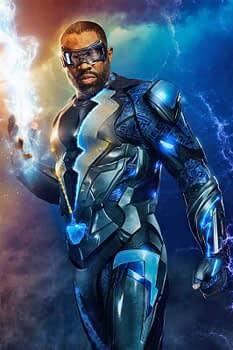 The show will follow Jefferson Pierce (Cress Williams), “the hero who he hung up his suit and his secret identity years ago, but with a daughter hell-bent on justice and a star student being recruited by a local gang, he’ll be pulled back into the fight as the wanted vigilante and DC legend — Black Lightning.” It’s yet another Greg Berlanti production with him and Sarah Schechter producing. Black Lightning joins other comic book based shows The Flash, Arrow, Supergirl, Legends of Tomorrow and Riverdale all of which have already been renewed. Life Sentence is another new series that was picked up. It follows a young woman (Lucy Hale) who thought she had terminal cancer and “lived like she was dying” only to find out that she isn’t going to die. The series is going to follow her as she deals with the ramifications of her actions. This is producer Bill Lawurence’s first series at the CW and CBS Television Studios as also jumped on the series as a co-producer. The CW has picked up four series thus far this year up from the three they picked up last year. New Riverdale Promo For "Share It With You"